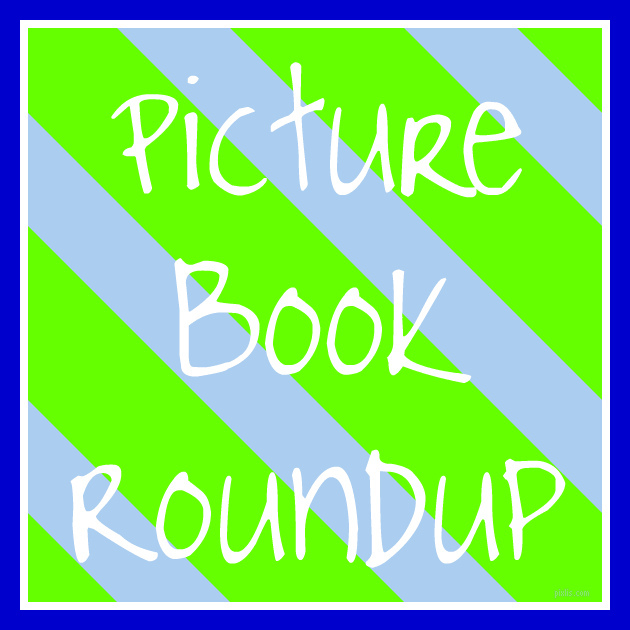 Welcome to my first Picture Book Roundup! This is one of my new features in 2012 that I'm hoping will (a) help me to review more of the books I read, if only briefly, and (b) showcase some of the great books that my library has to offer. 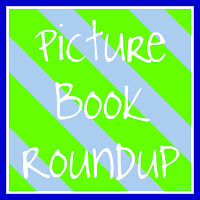 I tend to pick up a ton of picture books throughout the day, and I will be sharing them here with you every Wednesday! Very heavy on the repetition. Not sure I really like the imagery of dying cows in a children's book, either. I LOVE this book! It's a great story about friendship and acceptance. Two best friends are torn apart over a comment about the sandwiches they bring to school. The graphics are fantastic. Highly recommended! This book was also quite adorable. This little boy makes up a story about having a lion during show-and-tell, and his classmates believe him. What's a boy to do? This book was very old-fashioned, and the graphics were dated. It's just a boring story. I was initially unsure about this title, because the cover wasn't that impressive, but the story is actually very cute. I loved that it shows how grandparents had lives before they became grandparents. This was one of my favorite books of the bunch! A phone booth, once used every day, gets lonely as it is replaced by cell phones . . . but cell phones don't always work in a storm! The technological vocabulary is a little advanced for the target age group, but otherwise it is a super cute book. There is a lot of text in this book, so it's definitely for older readers. However, the format is fantastic (like a newspaper!) and the story is super cute! It's a little dated and has a large amount of text, but it's a good story with a good moral to it. I'm still wondering if it's a local folk story, so if anyone knows please tell me! This was cute - I loved the format the most. There are letters between animal narrators as well as Little Red Riding Hood and Goldilocks. Adorable! I went into this thinking, "It's a pig and a purple horse. What's not to love?" Unfortunately, this is a very blah, boring book in reality. This is a very cute story about a groundhog who can't quite manage to hibernate. He wakes up throughout the fall and winter, walks around town, sees heretofore unseen sights, and is put back in bed by various characters (a witch, a turkey, and Santa Claus). When Groundhog Day finally rolls around, he isn't ready to wake up! My birthday is Groundhog Day, so I am of course partial to cute stories about the holiday, but this one is very well done and adorable to boot! The main character is a monster who goes into a little boy's bedroom only to discover that it is too dirty to take a nap in and cleans it up. Such a cute book! This book starts out rather strangely, but it turns around into a very cute story about how teachers aren't as mean as kids tend to think they are. I added this one to our display list of Halloween books, but it would also be great for back-to-school and 100th day displays. Squirrel can't figure out what to do for her New Year's resolution this year, and she is bummed out when all of her friends start on theirs. This is a great story for kids who don't realize that they are good at something. I thought I would like this one more - it's about a trip to the library! Unfortunately, it just didn't click for me. The illustrations were cute, but the story was too repetitive for my taste, and the library rules mentioned in the book did not match those of our library. I'm a little worried that it will confuse kids about our library's rules. I have been on a mission this year to find multicultural books, and this one definitely fit the bill! Shante's grandma forgot to pick up black-eyed peas for New Year's dinner. Not wanting any bad luck to come her way, Shante goes out to the neighbors' looking for some and encounters various New Year's traditions from around the world. When Miss Mary adopts Blue the basset hound from the pound, she has no idea what she's getting into. Soon, her house has gone to the dogs! This was one of my favorite book of this week's bunch. I love dogs - especially rescue dogs! The illustrations were fantastic, and the ending brought a smile to my face. Highly recommended for dog lovers everywhere. I know, I know, another Groundhog Day book. This one's pretty great, though - it has a ton of facts about groundhogs (and some very cute supporting characters)!